What to do in Singapore for 48 hours (or less)? 1. Marina Bay Sands – who would afford to miss MBS when in Singapore? 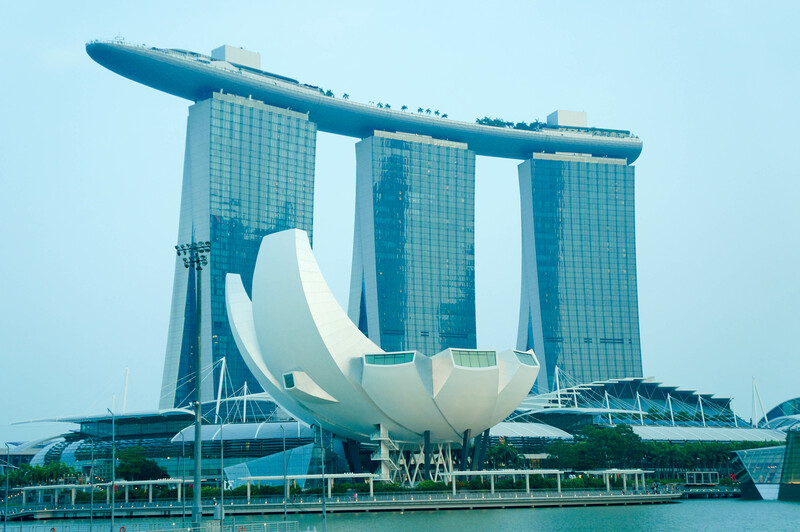 That iconic 3 tower-structure that are connected by a sky terrace on the roof called the Sands Skypark. It’s the first thing you’d think about Singapore. The resort has everything that you need, from mall, museum, theaters, celebrity restaurants, casino etc. 2. 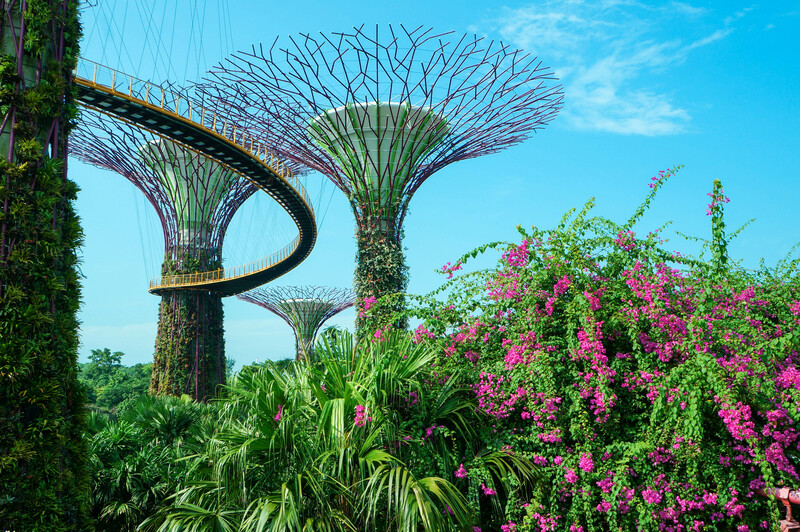 Gardens by the Bay – is a park spanning 101 hectares (250 acres) of reclaimed land in central Singapore, adjacent to the Marina Reservoir. The park consists of three waterfront gardens: Bay South Garden, Bay East Garden and Bay Central Garden. The largest of the three gardens is Bay South Garden, standing at 54 hectares (130 acres). (source: wikipedia). From Marina Bay sands, you can simply cross the bridge connecting to gardens by the bay. Since my time was limited that time, I decided not to enter the garden and walked around the iconic supertree groves instead. Ideal time to visit the place is morning to avoid heat from the sun. If you want to enter the gardens, entrances start from SG$15 to SG$28. 3. 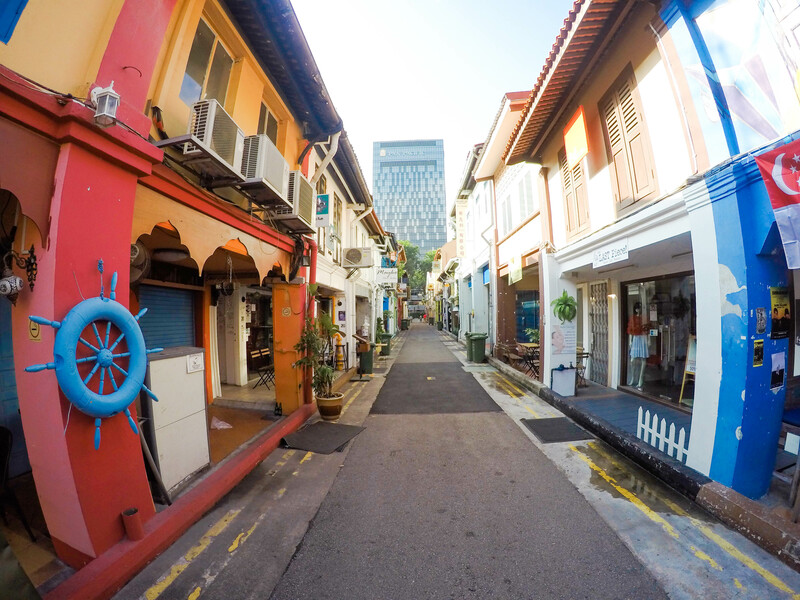 Haji Lane – I have been in Singapore several times but this was the first time I saw this very cool and artsy street. Graffiti everywhere, colorful walls, fashion boutiques, witty cafes, hawkers and people posing in every corner – a bloggers play area! 4. 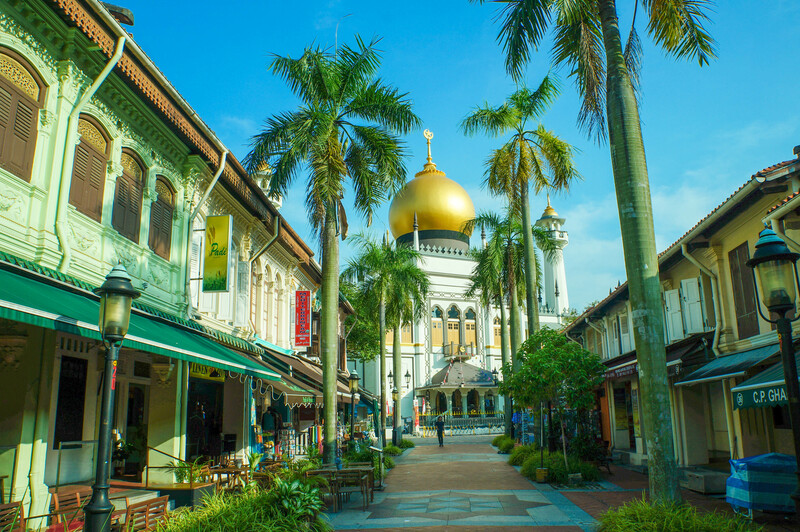 Arab Street – literally a few steps away from Haji Lane, you will find this small Muslim community of Singapore. Well, it’s not only for Muslim, everyone is welcome to visit. There are good Arabic and Mediterranean restaurants around so better try it. 5. 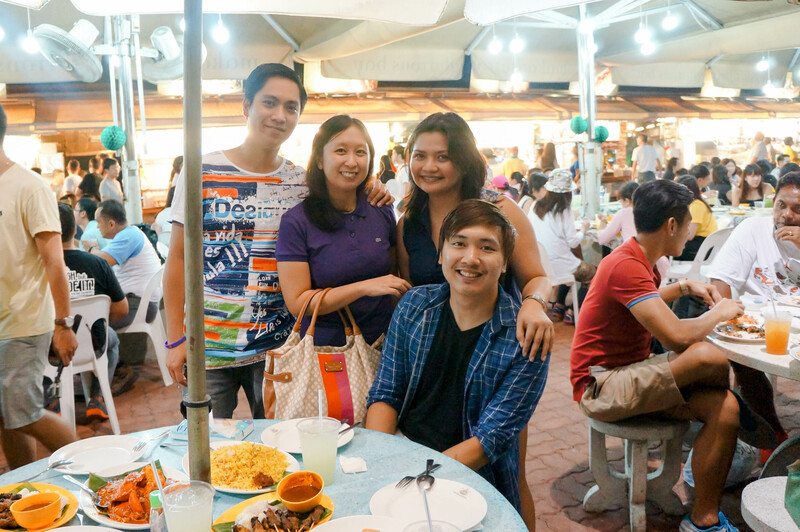 Makansutra Gluttons Bay – It’s my new favorite place where to eat when in Singapore. If you want to try the authentic SG cuisine including that very known Chili Crab, here’s the perfect place for you! It is an outdoor food-court that celebrates Asian culinary masterpiece. A must try! It is located opposite across Marina Square and next to The Esplanade with the view of Marina Bay Sands best place to dine at night. 6. 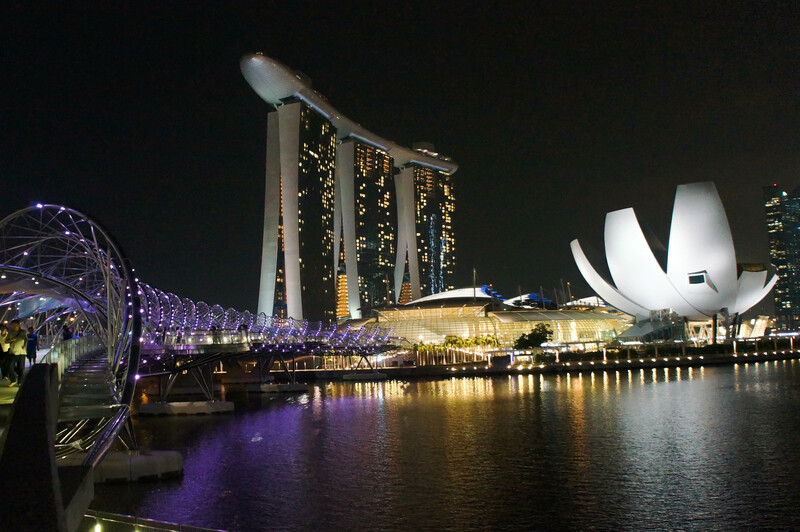 Marina Bay – Of course, one can’t miss to see the Marina Bay at night as it turns more stunning with its city lights. Make sure you walk your way to The Helix Bridge. Also, there are scheduled light shows every night, make sure to check the timings so you won’t miss it (don’t be like me)! 7. 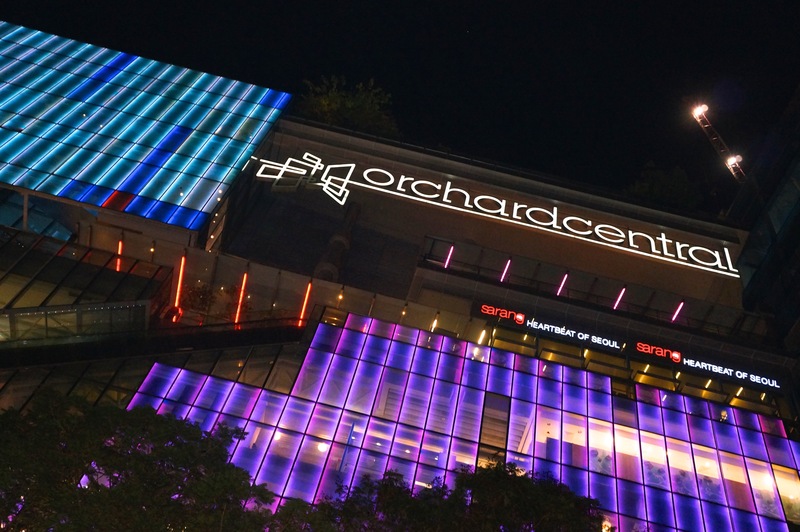 Orchard Road – Is shopping always part of your itinerary? If yeah, then have this listed on your itinerary. It’s a 2 kilometer-long boulevard that showcase branded retail shops. It’s the Champs-Élysées of Singapore. While walking down your way through the street, be sure to try Singapore’s SG$1 ice cream! You will find it along the road of Orchard. 8. 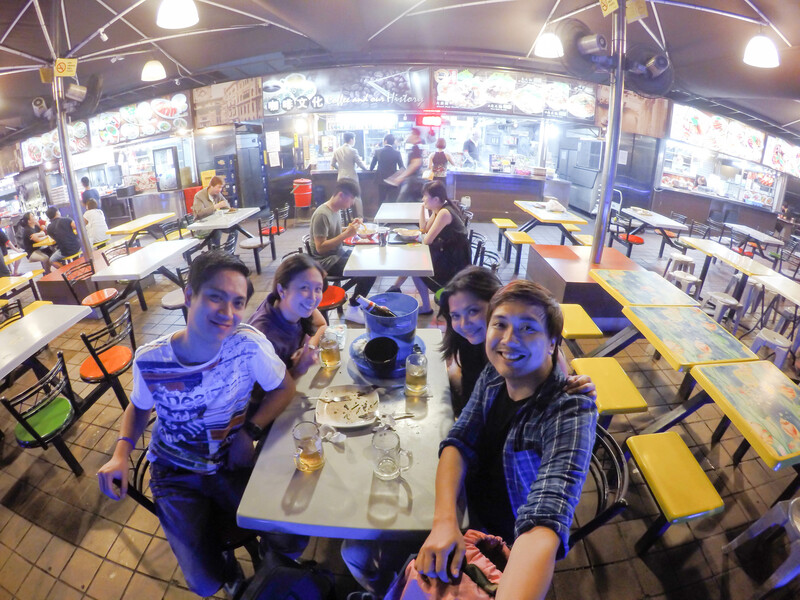 Hawker Experience (SG’s local food store) – After a long day of walking around the city, it’s time to enjoy the night and have a good bonding with friends. Along Orchard Road, you will find hawkers where you can sit and drink. Hawkers are basically local restaurants in a cheaper price. It is everywhere in Singapore so go and try it for experience. On my second day, I woke up a little late and felt too tired so I decided to just have a quick stop at Bugis to grab some gifts and souvenirs before heading back to Dubai by lunch time. I was also too lazy to pull out my camera inside my bag to take photographs. 9. Bugis – it’s another shopping district of Singapore. But unlike in Orchard, here you can find shops that offer the cheapest (if not, almost) in the city. Perfect place to buy pasalubong and souvenirs. 11. Changi Airport – even their airport is a tourist attraction. Currently it is the World’s Best Airport. You wouldn’t get bored while waiting for your flight as there are many things to see inside Changi. Travel hack: If you have a connecting flight via Singapore Airlines, you are entitled to claim a SG$20 (Php650) voucher in the visitor’s reception which you can use inside Changi. 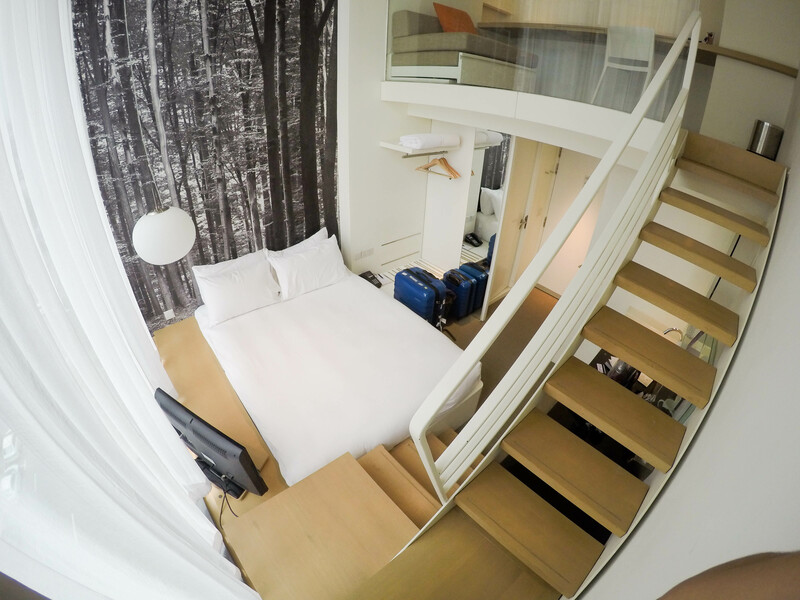 I booked a loft in Studio M Hotel – located in 3 Nanson Road, 10 to 15 minute walk from Clark Quay MRT station and 10-15 minute taxi ride from Changi (SG$20). The room rate was US$160 per night – quite costly but it’s the average rate for a 3-4 star hotel in SG. The room is only 22sqm however, I had an extra space since it’s a loft and was just good for 2-3 people. What disappointed me was the room lacks maintenance. The walls were a bit dirty and definitely needs a cleaning or repainting. Aside from that, all is okay. Special thanks to my “SG buddy” – Razel for making time whenever I’m in Singapore. For waking early in the morning just to pick me up at the airport and for the endless tours in the city, (kahit na ilang beses na natin napuntahan yung lugar). My Singapore getaways wouldn’t be fun without you. Thanks!